The ODROID C1 is a true alternative to the Raspberry Pi 2. It costs the same but brings Gigabit Ethernet, the option of using a high-speed eMMC storage module, and support for Android! The Single Board Computer (SBC) movement is still going strong and with the recent release of the Raspberry Pi 2, it doesn’t seem as if it will lose any of its current momentum. The key selling point of the Raspberry Pi has always been its price. While there are lots of other companies that make these nimble little boards, there aren’t that many who seem to be able to match the Pi’s price point. Of course, some of the boards are only slightly more expensive than the Pi and do offer more functionality. For example, the MIPS Creator CI20 costs just $65 and includes built-in Wi-Fi and 8GB of on-board storage, two things missing from the Pi. mbed - Everything you need to know! 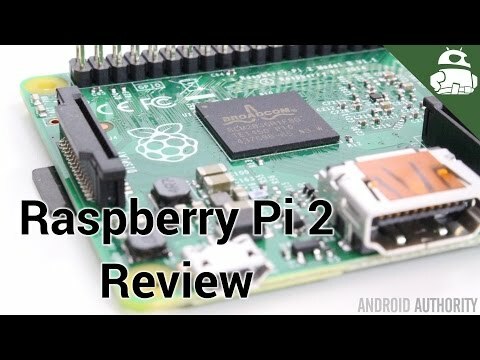 Raspberry Pi 2 - Review! One company that offers a range of SBCs is Hardkernel. The company currently sells three boards: the high-end $179 ODROID XU3, with its Samsung Exynos 5422 octa-core processor and 2GB of memory; the mid-range $69 quad-core ODROID U3, with its 1.7GHz Exynos 4412 CPU and 2GB of RAM; and its low-end offering, the ODROID C1. It is this last one which is the most interesting as it costs just $35, the same as the Raspberry Pi 2, and has a quad-core processor with 1GB of RAM. I ordered a ODROID C1 recently and since its arrival I have been taking it through its paces, and this is what I found out. In many ways the ODROID C1 is just like any other SBC. It is small, doesn’t consume much power (less than 0.5A most of the time) and offers the normal range of ports, including HDMI and Ethernet, as well as a set of GPIO pins. However, there are two things worth noting. In many ways the ODROID C1 is just like any other SBC. However, there are two things worth noting. First the board isn’t powered via micro USB but rather via a more conventional power connector. You need to buy the power supply separately, or alternatively you can buy a special USB cable which can be connected to a normal USB charger. I opted for the cable approach as it was the cheaper option and also meant that I had greater flexibility in how I power the board. Second the microSD card slot is on the bottom of the board. This means that the bottom of the board isn’t flat and the device tends to wobble about a bit on a flat surface. It also means that I found myself worrying about the card or the card slot breaking. I guess buying a case would solve the problem. As you may guess from the “DROID” part of “ODROID,” Hardkernel’s range of SBCs were originally designed to run Android. This means that the ODROID C1’s support for Android is excellent. The current officially supplied version is Android 4.4, however, there are instructions available on how to build Android 5.0, even if a pre-built image hasn’t yet been released by Hardkernel. Like other SBCs which support Android, the device boots up to the standard home screen using a HDMI TV or monitor. You use a mouse instead of your finger, and click instead of tap. You can also add a USB keyboard, which is certianly recommended for typing things out faster. The default installation comes with a few extra pre-installed apps: ODROID Utility, which is used to set the screen resolution; ClockworkMod Superuser, because the supplied build of Android is rooted by default; a terminal emulator app; Kodi (formerly XBMC), a media player and entertainment hub app; and DicePlayer, a multi-format video media player. Unfortunately, you don’t get Google Play or any Google’s services. The good news is that Google’s apps can be unofficially side-loaded using these instructions from the community forums. In terms of performance, the quad-core Cortex-A5 isn’t going to win any speed competitions when pitched against the latest generation of quad-core and octa-core processors used in flagship smartphones. Of course, that doesn’t mean that the processor is in any way slow or an under performer, especially when you remember that these boards are designed primarily for embedded solutions. Quickly looking at some benchmarks, the ODROID C1 scored 15887 on AnTuTu, and it managed a frame rate of 27.2 fps for Epic Citadel in High Performance mode. Both these scores are for Full HD. Because the board can be configured to run at several different screen resolutions, it means that the board’s scores vary. With a smaller screen resolution the GPU has less work to do, as a result both AnTuTu and Epic Citadel perform better. At 720p the C1 scored 17682 on AnTuTu, and it managed a frame rate of 51.5 for Epic Citadel in High Performance mode. The C1 uses an Amlogic S805 and, according to Amlogic’s website, it supports Full HD video decoding of H.264 and H.265. It also supports Dolby, DTS, SRS, and AC-3. However, it isn’t clear which of these hardware capabilities are utilized by the software. Unlike some builds of Android which I have seen on other SBCs, Android on the ODROID recognizes USB flash drives. This means that you can insert a flash disk and then watch videos or listen to music stored on the flash drive. I was able to play videos via the pre-installed DicePlayer as well as via VLC (which I installed from the Play store). Oddly, the build of Kodi which comes pre-installed wasn’t able to access the USB drive, due to a permissions error. In terms of video decoding performance I used my ZTE Star 2 review video, which was rendered in Full HD at 14.7Mbps, and the ODROID C1 was able to show it without any problems. I also tested the ODROID C1 using YouTube and using Netflix. Both ran as expected. Overall the Android experience was excellent, especially when you consider that this is a $35 device. The ODROID C1 would work well as a cheap way to turn a normal TV into a Smart TV. 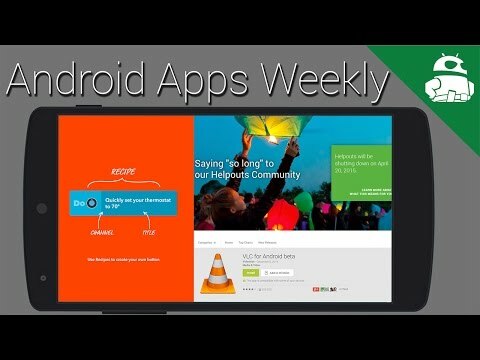 It would also be a great way to bring a full Android experience to your lounge. Since you can configure Android on the C1 to suppress the display of the on-screen keyboard and rely only on a physical keyboard, then the ODROID C1 would also make a cheap personal computer, if you like using Android for productivity tasks. In addition to Android, the C1 can run Linux. The official Linux distro from Hardkernel is based on Ubuntu 14.04 and comes with the LXDE desktop by default. As is the case with many of the SBCs on the market, Linux is a natural fit for the ODROID C1. The distro comes with a number of pre-installed applications including Mozilla Fire, Chromium, GIMP, Kodi, and so on. 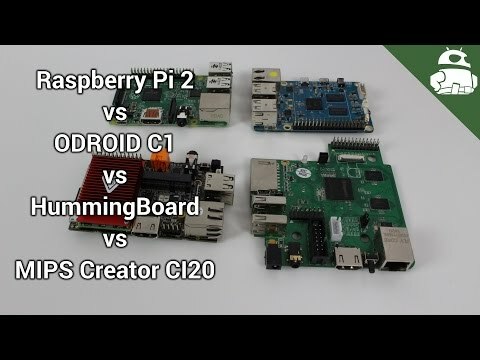 Since the Raspberry Pi doesn’t support Android I can’t do a speed comparison between the Pi 2 and C1 on that OS. However, I can do it under Linux. Using the benchmark mode of OpenSSL, I generated a series of hashes on both the Pi 2 and the C1. The C1 is clearly faster than the Pi 2, in fact almost (but not quite) twice as fast. In many ways, that is to be expected since the CPU in the C1 is clocked at 1.5GHz compared to the 900MHz of the Pi 2. The C1 is clearly faster than the Pi 2, in fact almost (but not quite) twice as fast. The only down side of Linux on the ODROID C1 is that Ubuntu is the only distro offered directly by Hardkernel. Other boards like the Raspberry Pi 2 and the HummingBoard offer several different distros, allowing users to install their preferred version. The real question is this, is the ODROID C1 a true alternative to the Raspberry Pi 2, and I think the answer is yes. The Raspberry Pi 2 is better than the ODROID in terms of its community support. The number of books, videos, add-ons, and projects available for the Raspberry Pi is enormous. However, the ODROID community is growing and Hardkernel makes sure that essential libraries for controlling the GPIO pins (etc.) are available. Also, the ODROID C1 supports Android (unlike the Pi 2), has Gigabit Ethernet, and the option of using a high-speed eMMC storage module, which is 2 to 3 times faster than an SD card.